Mobile freemium game developers Glu have announced that their newest RPG, entitled Heroes of Destiny, will go live this week. Heroes of Destiny is a 3D RPG where players must reclaim the fantasy Kingdom of Lerona. An evil known as the Darkness has taken over the land, corrupting everything it leaves behind. Players must assemble and guide a band of heroes on their quest to overcome this great evil and the hordes of blood-thirsty monsters that accompany it. Players must choose wisely which heroes to send into battle based on enemy types and available skills. You can upgrade and train your skills and power up your heroes with armor and weapons. There are eight characters to choose from, and teams of up to four can be used to battle the Darkness. Enjoy real-time strategy and fantasy action RPG style gameplay with intuitive touch controls. Customize your heroes and improve combat stats with hundreds of different gear types and skill upgrades. Battle in fully 3D graphics as characters explore outdoor, dungeon, and city environments. Replay missions to collect additional loot and master challenging bosses. 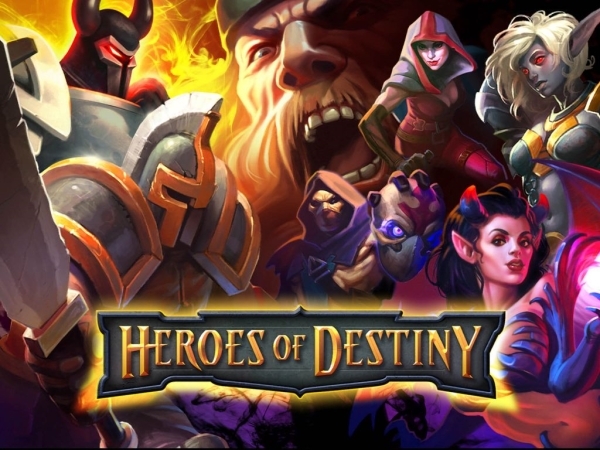 Heroes of Destiny will be released on both iOS and Android, and should be available in Google Play later this week. Also be sure to check out the trailer for the game below.